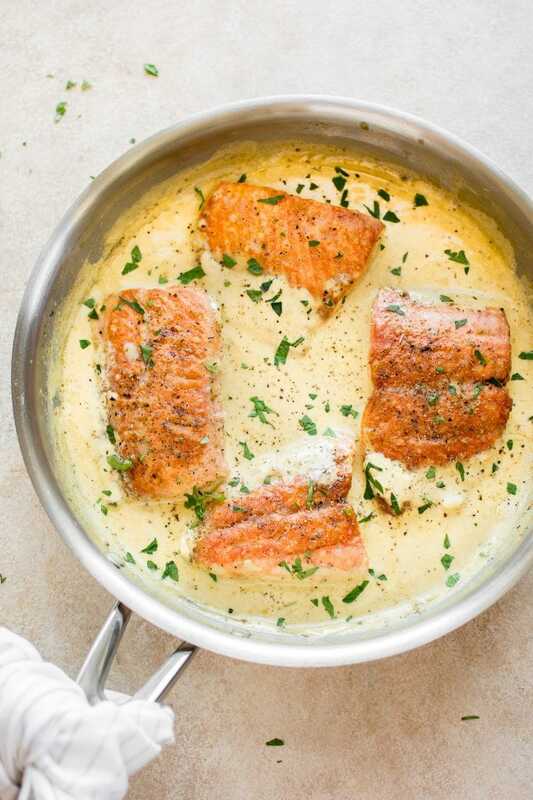 This creamy Dijon salmon recipe is fast, easy, and will please all the Dijon mustard lovers out there! A delicious weeknight dinner option. Perfect served over pasta! This recipe was inspired by my Dijon rosemary chicken recipe, actually. I’ve also been into making creamy salmon recipes lately, so this mustard salmon recipe was born. I have a bunch of creamy salmon recipes on my blog because I like them so much. More importantly, my readers seem to really enjoy them! 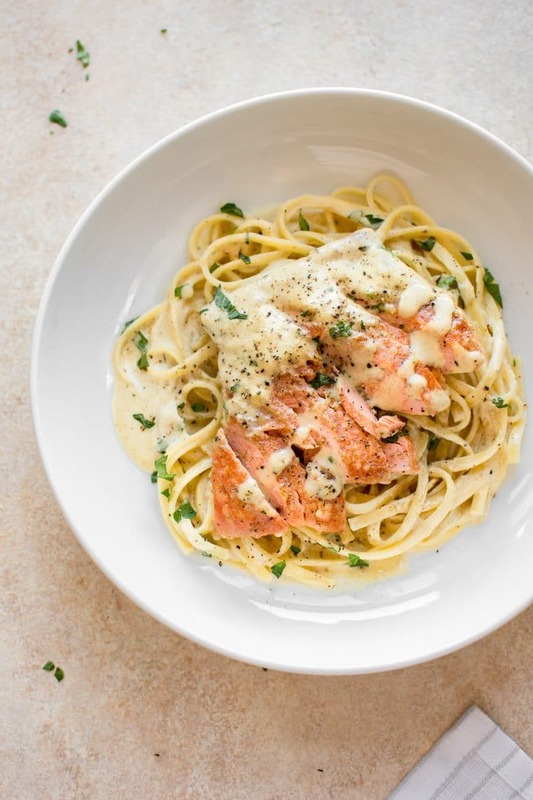 I have a creamy salmon piccata recipe, a creamy lemon salmon recipe, a creamy Tuscan salmon recipe (with sun-dried tomatoes & spinach), and a couple of pasta recipes including my popular creamy garlic salmon pasta. 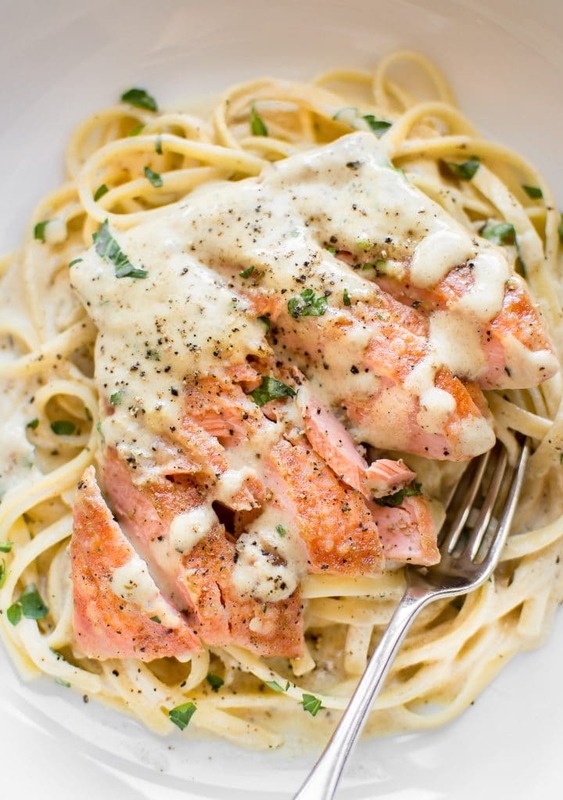 Something about salmon in a creamy sauce just makes me swoon! And these recipes couldn’t be much easier to make. The Dijon mustard salmon sauce in this recipe is super simple and only has a few ingredients. Pro tip: I find different brands of Dijon can taste more salty than others. I recommend going easy on the salt until you taste the sauce at the end since this recipe does contain 3 tbsp of mustard. 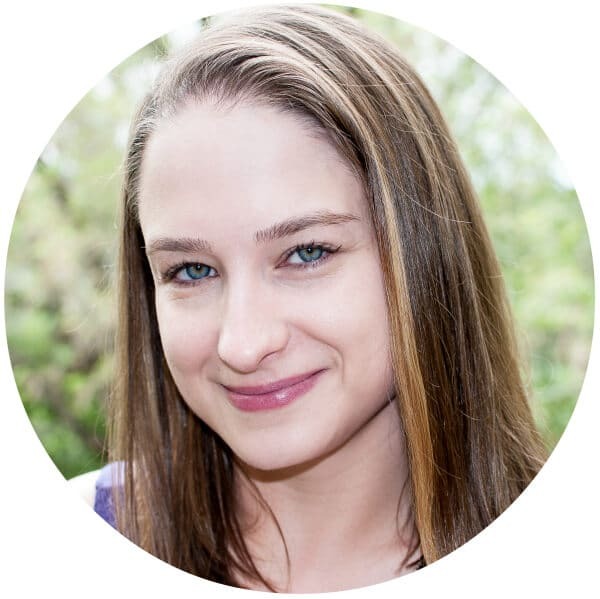 If you’re particularly sensitive to salt, use a low-sodium chicken broth as well. Sprinkle salmon with the garlic powder and pepper, then dredge each piece in flour on all sides and add them to your skillet. Cook for 3-4 min./side (fish shouldn’t be fully cooked yet). Deglaze the pan with the chicken broth (or white wine), lemon juice, Italian seasoning, and Dijon mustard. Stir until the mustard has dissolved and let it simmer for a couple minutes. Stir in the cream and let it cook for 2 minutes or so to thicken the sauce up a bit. Place the fish back into the pan. Reduce heat and cook it for a few more minutes until it’s done. I love it served over pasta. If you start boiling the water for the pasta prior to cooking the fish, it’ll all be ready around the same time. You also can never go wrong with mashed potatoes, rice, and/or a healthy side salad. 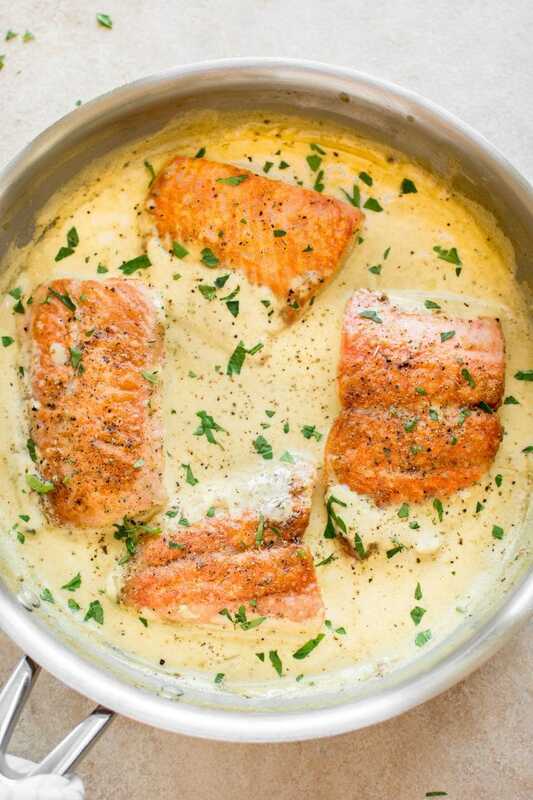 Let me know in the comments below if you will make this creamy mustard salmon recipe! Questions? Talk to me below! Cut your salmon into 4 pieces. Sprinkle it with the garlic powder and pepper. Dredge each piece in flour on all sides. Add the butter and oil to a skillet over medium-high heat. When it's hot, add the fish. Cook fish for 3-4 minutes/side or until it's nicely browned. Be sure not to overcook the fish (it shouldn't be cooked fully yet). Place salmon on a plate and set aside. Add the chicken broth, lemon juice, Italian seasoning, and Dijon mustard to the pan and stir well. Let it simmer for a minute or two. Add the cream to the skillet. Let it bubble for 2 minutes or so to thicken the sauce up a bit. And the salmon back into the pan. Reduce heat to a low simmer and cook salmon for a few more minutes until it easily flakes with a fork, taking care not to overcook it. Season with extra salt & pepper if needed. Serve immediately. If you're sensitive to salt, I recommend using low-sodium chicken broth in this recipe as Dijon mustard can be quite salty. Be sure to taste the sauce prior to adding any extra salt. This recipe is fantastic! I used half and half and sage. Great tip about the salt. Will definitely make again. Thanks for posting and great job!